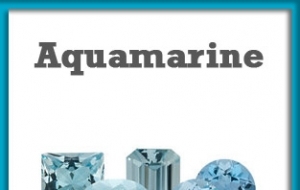 When we think Spring at Reiniger’s we think of sunshine, fresh air, and Aquamarine of course; the March Birthstone. The gentle light blue color is one to lighten up your wardrobe and remind you of the warm weather approaching. Aqua, meaning water, can’t help but to get everyone thinking of a warm breeze and the sound of the ocean. Blue skies and warm weather have us excited for Spring, why not start celebrating by sprucing up your jewelry box with some fresh Aquamarine?